Our new product HL-580 use Broadcom BCM 5358U Chipset which will make the network sign more stable. What is more, the price is lower than other brand of MTK Marvell CPU. 4G router help us enjoy the speed with network life, never dropped calls, intelligent management under WIFI security guarantees. 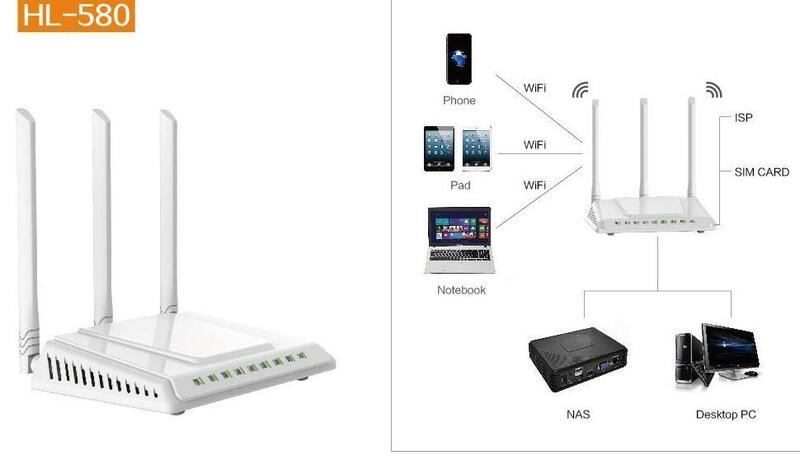 The router is equipped with the latest 4G and wireless RT069 technology, supports the date monitoring which will be more convenient to manage our network. It is a full-featured network device that allows you to enjoy worry-free network connections, whether in outdoor conferences, exhibitions, venues, factories , Home, or outer. Through the network interface, the hardware allows your desktop computers and notebooks to enjoy wired or 4G wireless network cable. White and Black Casing with same feature.